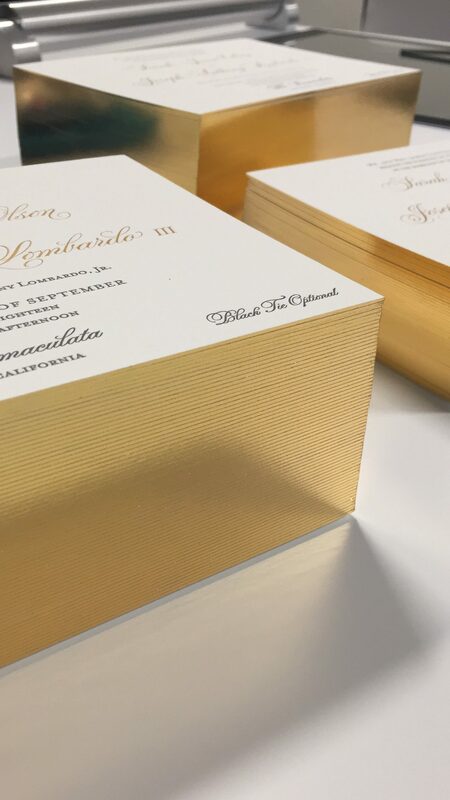 With Prince Harry and Meghan Markle’s wedding coming up, we can’t help but talk about their elegant and timeless wedding invitation. It was no surprise that the Royal Invitation would be very formal and very classy. 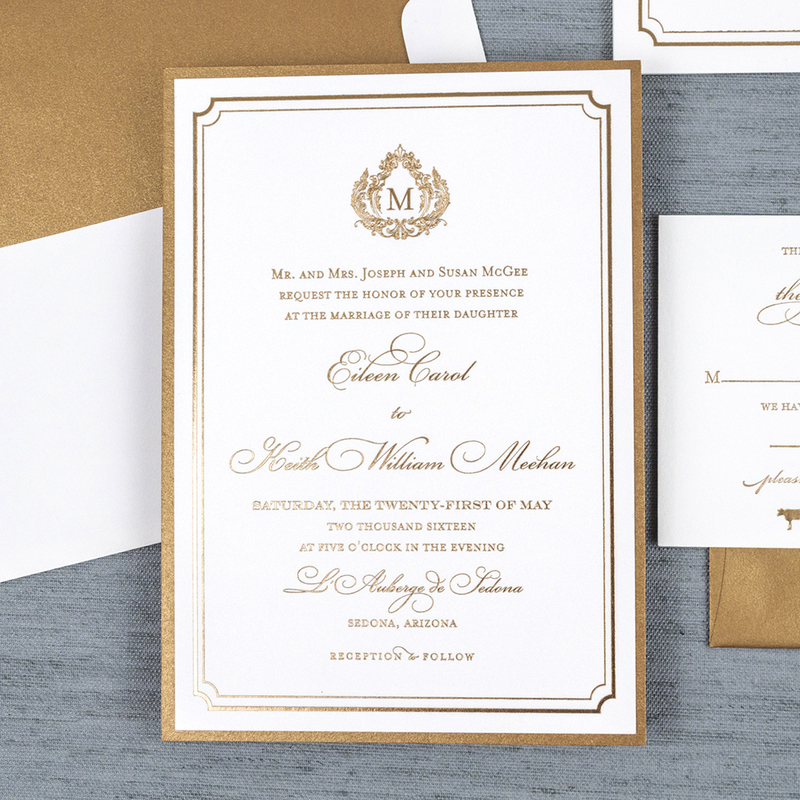 The elegant scrip, gilded edges, thick paper stock, and the Royal tradition of incorporating the family’s coat of arms in gold foil came together in the epitome of elegance. If you want a suite like Harry and Meghan’s, here’s a little insight on how you can do just that. Check out one of the designs featured in our Design Bar! 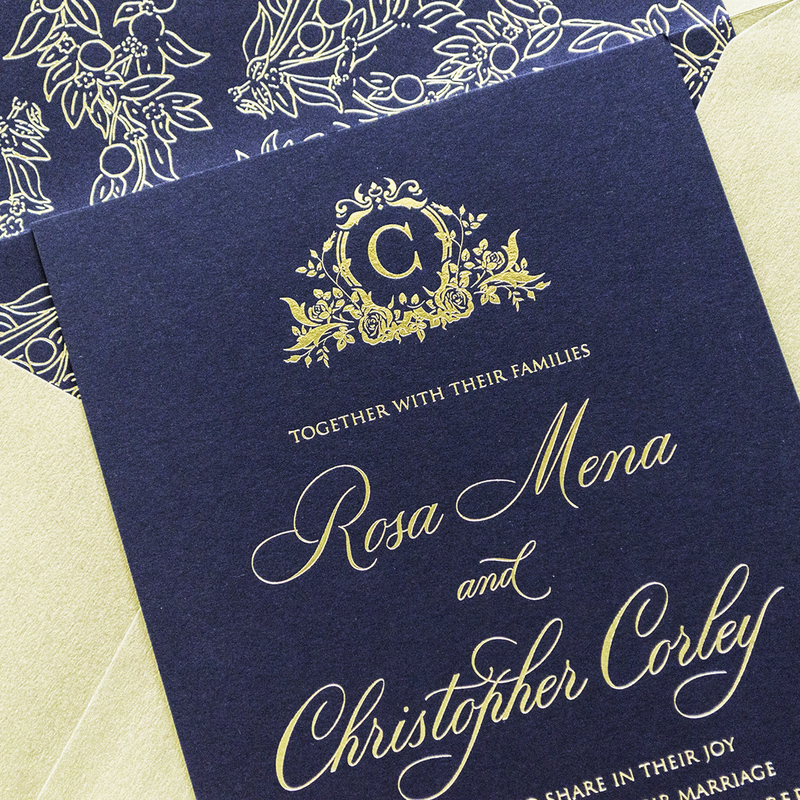 For a Royal-inspired invitation suite, we would recommend these designs: Audry, Hepburn, Hollis, Monticello, Signature, or Royal. Customize! 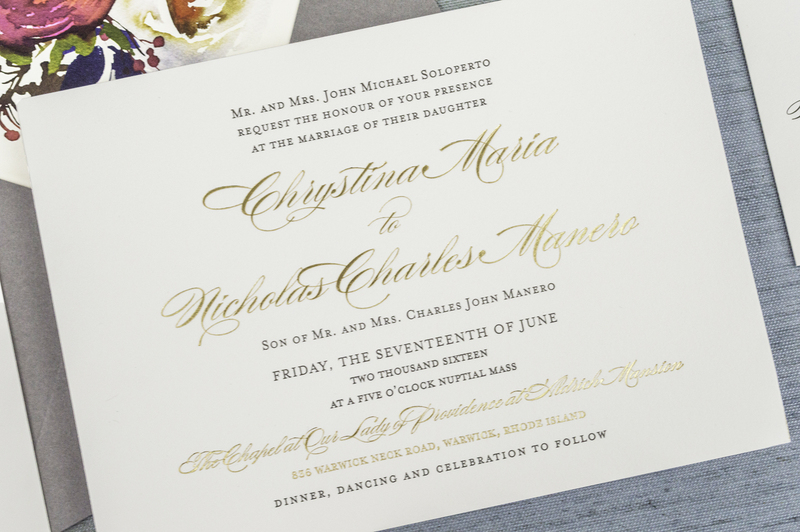 You’ll definitely take your invitation suite to royal level with these pretty script fonts: Bickham, Bodega, Milton, Copperlove or Parfumeria. Printing methods make all the difference! 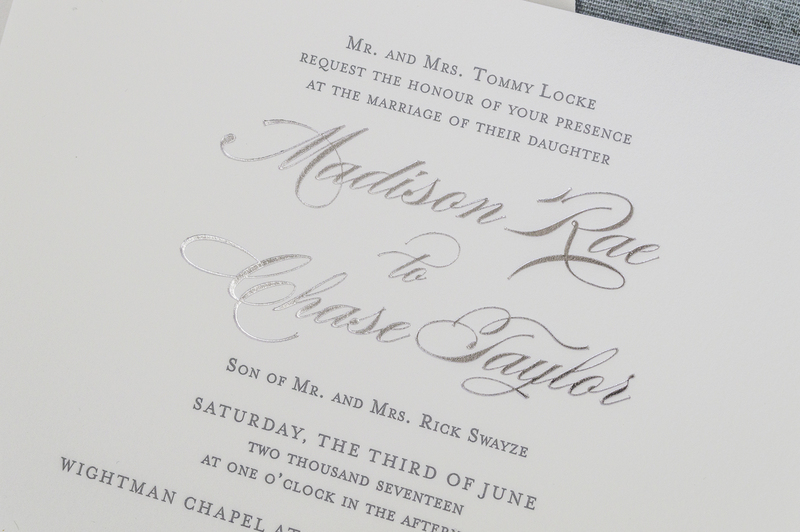 Letterpress printing with some foil touches is the way to go, but if foil isn’t for you, then letterpress printing will do just fine. Accessorize! Here’s where things get really fun. Add on a custom crest, monogram, or even your own coat of arms. 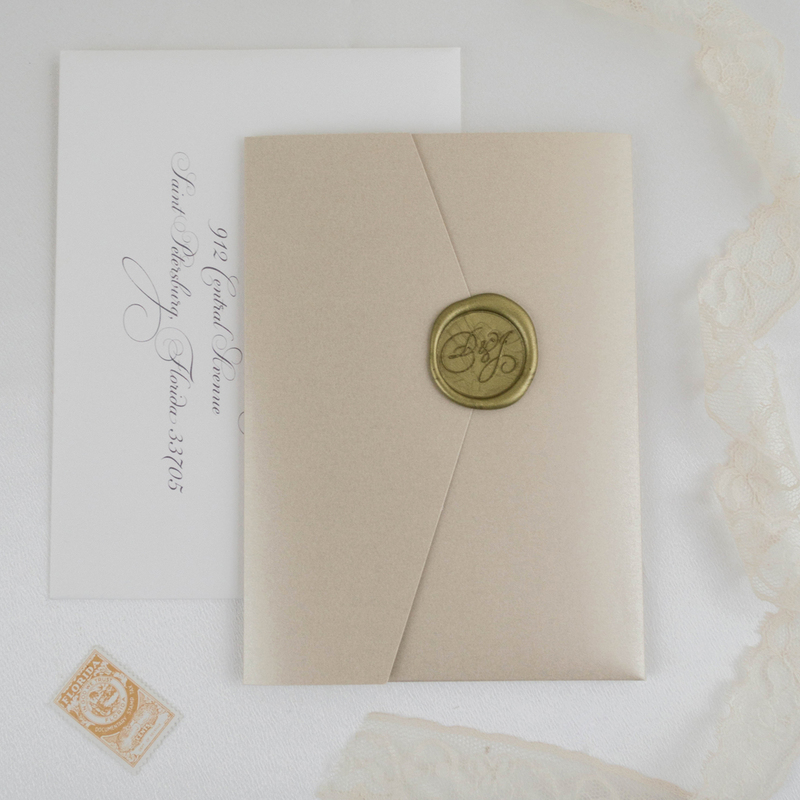 You can also add inner & outer envelopes, envelope liners, gilded edges (or deckled edges), and even wax seals to close the envelopes. And of course, you can never go wrong with hand calligraphy! Postage! Add on custom postage with your new crest design, or go the retro route and buy some beautiful vintage postage that coordinates with your theme and colors. 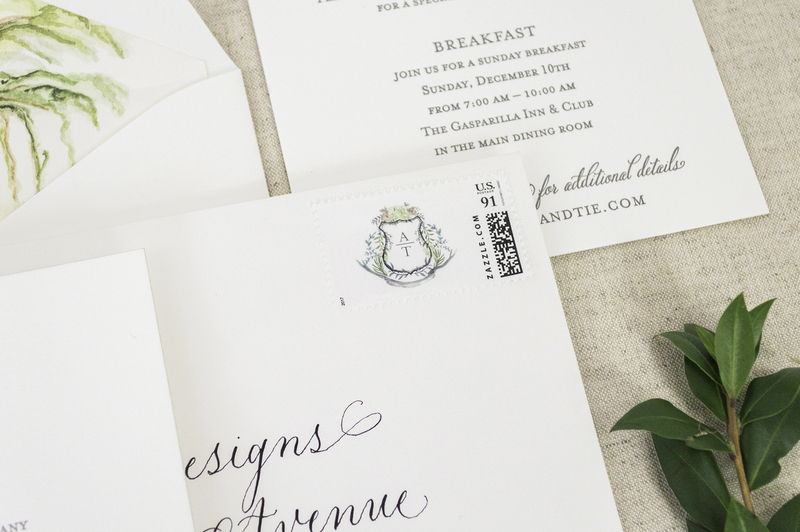 Now mail those beauties out, pop some Rosé, and wait for your phone to ring off the hook with all your friends & family telling you how amazing your invitations are and how they can’t wait to celebrate with you!